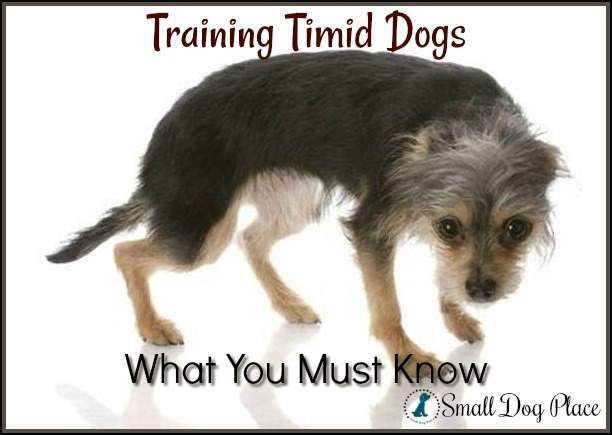 Timid dogs often present a huge training challenge. Some are born timid; others are made that way by abusive handling. As fear is the main reason dogs bite, there is no greater nature/nurture nightmare than a genetically timid dog who has been abused. This poor soul is an accident waiting to happen. The clinically timid dog appears desperate, almost paranoid. This is the puppy in the litter who holds back. He’s the least likely to approach new people and may be reluctant to explore novel things. His fearfulness interferes with his enjoyment of life and, often, our enjoyment of him. Many people are attracted to this puppy when selecting one, either because they feel sorry for him or because they believe he’ll be a laid-back adult. Charming though he may be, I would discourage families with young children from taking a timid dog. He is probably too emotionally fragile for the rough and tumble of kids. 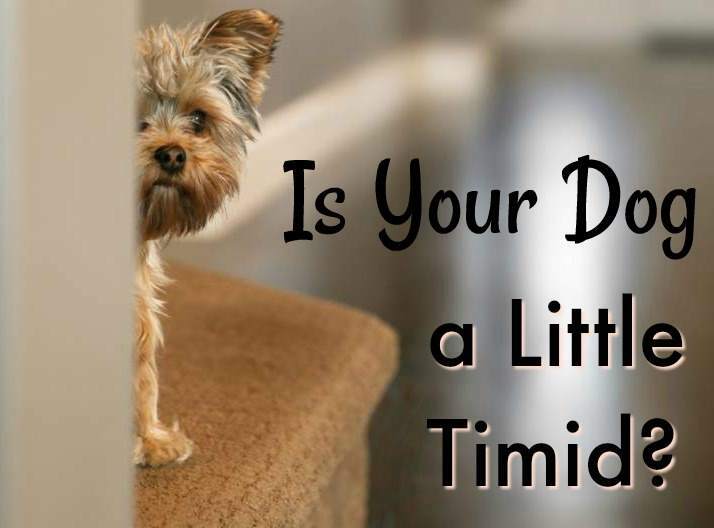 For those of us who are committed to adopting dogs out of shelters and ones in need of a home, timidity is a common problem. Rehabilitating these dogs can be a painstaking process and clearly not for everyone. It can be tremendously gratifying, though, for those who are up to the challenge. 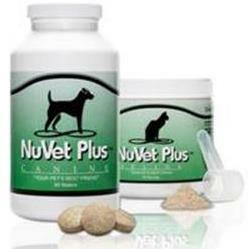 No matter what your dog is afraid of and to what degree, the remedy is the same. They need to be systematically desensitized to the object(s) of his fear while simultaneously counter-conditioned so that good things happen in their presence. When I am hired to help with a dog who is timid around strangers, I will typically ignore him at first and quickly sit down. Sitting makes me less threatening than standing. 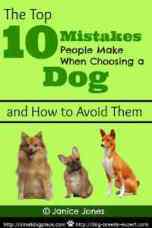 The main mistake well-intentioned people make with these dogs is to come on too strong too fast. This can do more harm than good. The dog needs to make the first move. The timid dog appreciates this. First sessions are often awkward in that my client’s paying me beaucoup bucks and I am completely ignoring my charge. Food is a powerful icebreaker with timid dogs. It is vital that the delivery of food be well timed. Once the dog settles down, typically far away from me, I’ll toss treats his way. To try to sweet-talk him out of the corner, he’s cowering in is too much pressure for our first date. It’s a good sign if he eats the treats. I have seen emaciated dogs refuse food because their fear trumped their hunger. Should he be relaxed enough to approach me, I’ll offer food from my hand held at his chest level while avoiding direct eye contact. Where it gets dicey is when the dog is showing threatening behaviors –growling, snarling or lunging. I withhold treats here lest he misinterpret these behaviors as a means to getting food. It is important to acknowledge his actions, not his attitude. Cowering and lunging are flip-side expressions of the dog's fear. His objective is to maximize the distance between us, either by retreating himself or by causing me to back off. Avoiding me is a reinforceable choice for our first meeting. Menacing me is not. Once the dog begins to relax, it’s time to raise the bar by rewarding progressively more confident displays. Here, this means his tolerating less distance between the two of us. So, let’s say he's established his comfort zone at ten feet. Although I’d prefer his making the first move and approach me, even if he doesn’t, I will still reinforce his tolerating my advancing to nine or nine-and-a-half feet. Throughout, my voice is friendly, my eyes are soft, hand gestures are small, and my posture is confident. To be tentative with a timid dog keeps him on guard. I always reach under, not over his head. Consider all gained ground a victory and quit while you’re ahead. The next confidence-building session will start at this new demarcation. There will be advances and setbacks. Such is the nature of behavior. So long as there is more progress than steps backwards, the program is working. If the dog regresses, I typically split the difference by backing off a little, but not as much as he would want. Now that rapport is established, add more enduring interactions. Engage him in a gentle game of tug-of-war, one in which you let him win while telling him what a big brave boy he is. Take him on a hike. Or out to dinner. By cultivating your trustworthiness, the foundation for his receptivity to learning the ABCs of training has been laid. 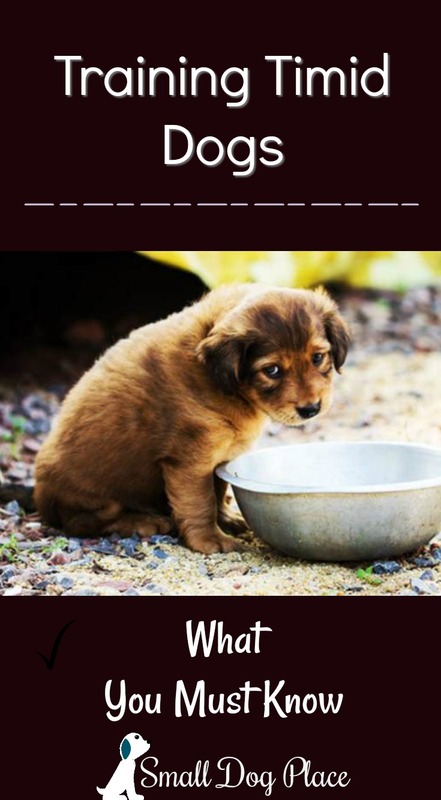 is a guest post by Jody Rosengarten, Dog Trainer and Behavioral Therapist from Fairfield, CT.